This time out, FlushDraw concludes its examination of the November 20th, 2015 partial summary judgment issued in favor of the Commonwealth of Kentucky against online-poker giant PokerStars, by looking inside the $290 million to see how it was calculated, and to see the competing claims made by Kentucky officials and Stars counsel in determining what might be an appropriate figure for the “losses” sustained by Kentucky’s online poker players from the passage of the UIGEA in late 2006 until the “Black Friday” shutdown of PokerStars’ US-facing services in April of 2011. 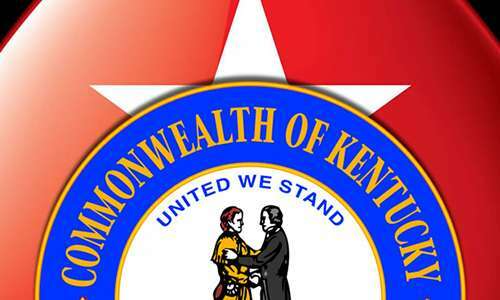 The information presented here doesn’t mean that PokerStars and its current parent company, Canada’s Amaya Gaming, will be paying that judgment or the treble-damages figure that Kentucky hopes that case’s presiding judge, Thomas W. Wingate, will assess. 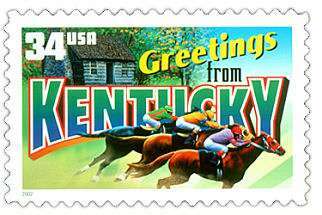 The matter will almost certainly go through a lengthy appeals process, and there’s also the chance, however slim, that Kentucky and PokerStars could reach an out-of-court settlement that dispenses with the matter. However, Wingate allowed, he’d revise that figure if Amaya went through the old PokerStars records it had obtained and offered more accurate data from that old 2006-11 period of allegedly illegal play by Kentucky residents on the PokerStars site. Amaya, frankly having little choice in the matter, complied with this request in mid-October within two weeks of Wingate issuing the condition. Judge Wingate lowered his preliminary judgment from nearly $536 million to a bit over $290 million based on two factors: the data that was sent to Kentucky by Amaya and REEL; and the actual statute used as reason for bringing the case, that being that only daily losses of $5 or more are allowed to be used under the statute. However, that limitation did nothing to remove the real problem with Wingate’s computations: The reliance on the daily-loss standard has a lot more to do with traditional gambling forms such as Kentucky’s beloved horseracing than with online-poker play, where sessions wrap the clock. According to the numbers Amaya and REEL provided to Kentucky, the “actual loss” incurred by Kentucky’s online players from late 2006 through 2011 was nowhere near the $290 million the state claims. Amaya and REEL (Rational Entertainment) have argued that each player’s daily wins should be set off against daily losses, to more accurately reflect the give-and-take nature of poker play. Poker is, indeed, a player-vs-player contest, with the site or house collecting a rake for offering the game and related services; Wingate and the Commonwealth of Kentucky utterly ignore that distinction in arguing for and setting the higher damages. That “actual loss” figure, as Wingate footnoted, was initially estimated by Amaya and REEL to be about $20 million for the 2006-11 timeframe. Subsequently, more information indicates that the figure is close to that, but slightly lower — just north of $18 million. It’s precisely that potential windfall for Kentucky’s coffers that Wingate appears determined to provide, despite its shaky legal base. Wingate’s legal construct here appears as rickety as that which he created in agreeing to grant the commonwealth’s seizure attempt against online-gaming domains back in 2008. The expected appeal by Amaya and REEL wont be initiated until after Wingate finalizes his ruling, which should occur early in 2016.